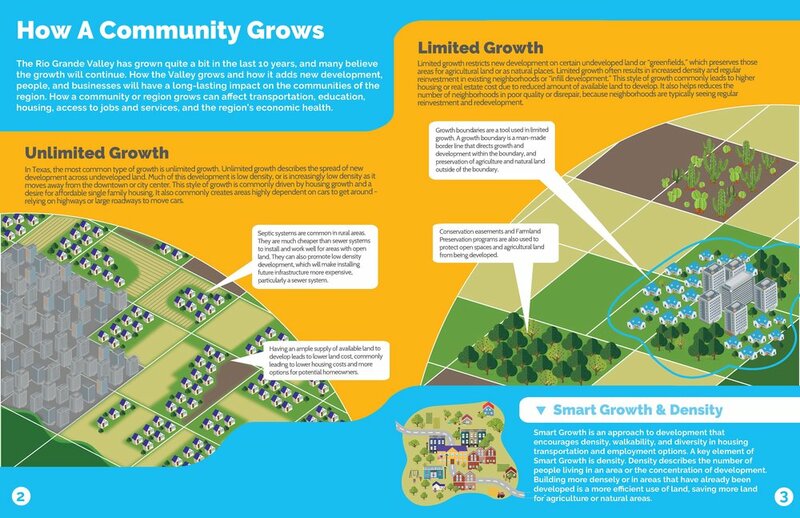 In the second Planning and Development level, readers learn about how cities, counties and regions grow and what planners and decision makers can do to support or limit that growth. 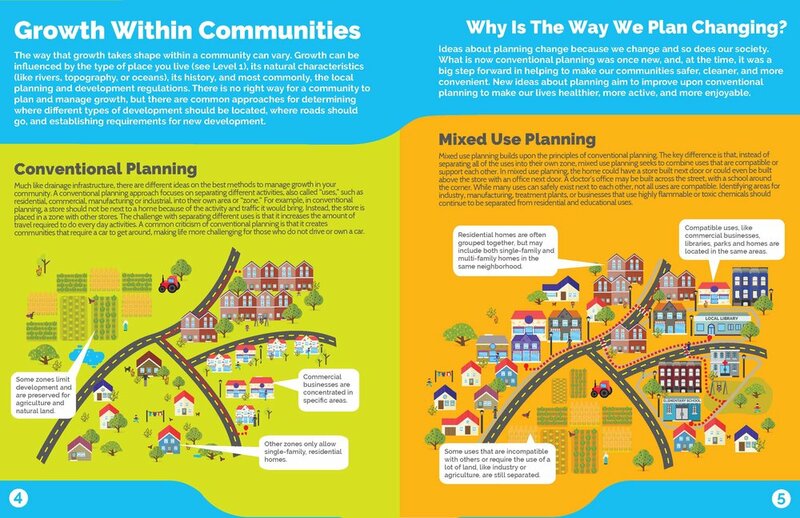 It also breaks down different types of streets and how they influence the way we move throughout our communities. By the end of the level, readers will be able to understand how growth at a variety of scales - from the region to the street shapes our everyday decisions about where to go and how we choose to get there.